How I Wish I'd Taught Maths: Lessons learned from research, conversations with experts, and 12 years of mistakes. When you speak to the likes of Dylan Wiliam, Doug Lemov, Daisy Christodoulou, Kris Boulton and the Bjorks, you are bound to learn a thing or two. 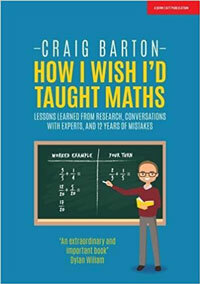 But when he started his Mr Barton Maths Podcast, Craig Barton wasn't expecting to have his whole outlook on teaching and learning turned upside down. 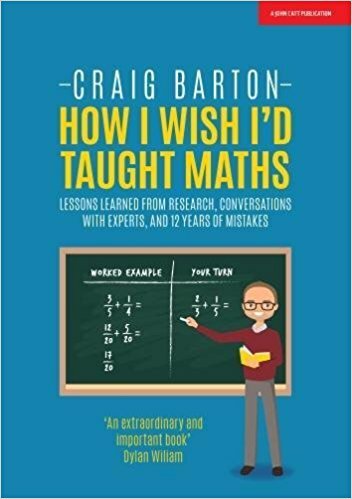 How I Wish I'd Taught Maths is the story of an experienced and successful maths teacher's journey into the world of research, and what it looks like in the classroom.